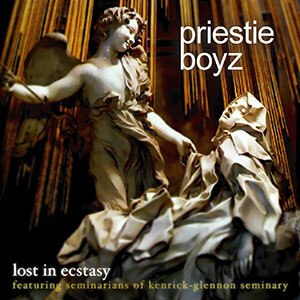 Our album Lost in Ecstasy was a six month labor of love, recorded and produced at 'klm studios' in Kenrick-Glennon Seminary. Many hours were spent recording and re-recording guitar tracks, drums, vocals, bass and other instruments (all 100% live!). Then many more hours were spent mixing the tracks until each one was as close to perfect as we could make them. Finally, with great help from C.W. Dent, we mastered the CD to make it sound as awesome as possible, and distribute it to the world!